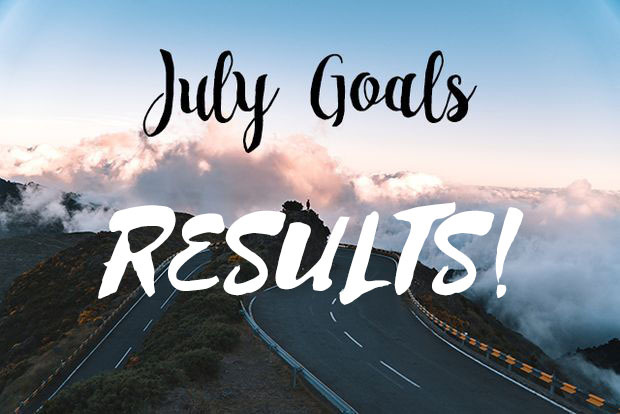 At the start of July, I compiled some goals for the month. Let's see how I did! Read 'The Handmaid's Tale' I'm going to borrow the book from my sister-in-law as soon as I see her next. Wedding Photos I've got them on Flickr now, but I want to write about them here, so expect that to come in batches. Start at least 2 of the 12 collabs I'm working on YouTube is interesting...I love it and hate it. So many of my collabs had to be postponed...so we'll see where they go. Try some watch-a-longs on Rabb.it with my Twitch crew (and plan the Cats one for Aug.) DONE-ish...I tried it out privately. Will schedule a Labyrinth screening and a Cats screening as soon as I'm home. Start working on the wig I was commissioned to do (and stream it via Twitch) DONE! I got the sideburns done and will start on the back of the wig next.